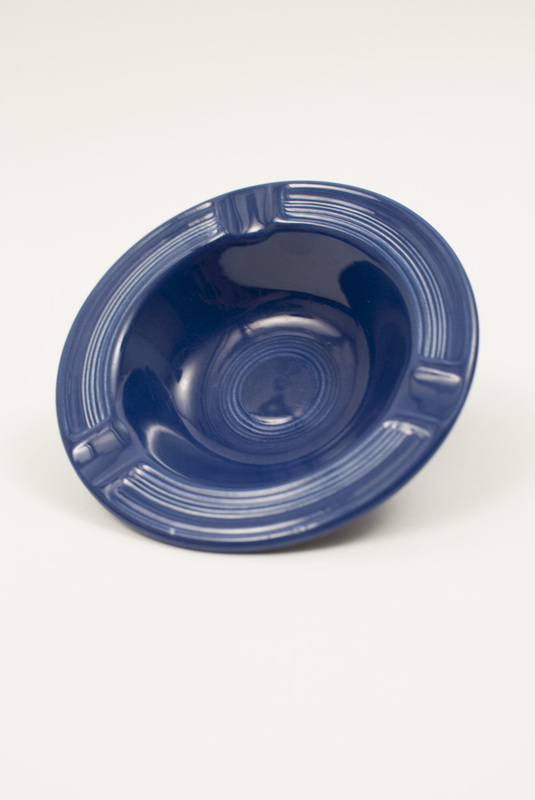 Circa 1936-1939: Early Version with Outside Bottom Rings— The vintage Fiesta ashtray was part of the original line, released in 1936. 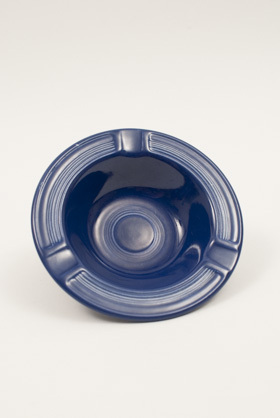 This is an example of a piece from that period, before the "Genuine Fiesta" stamp was designed. 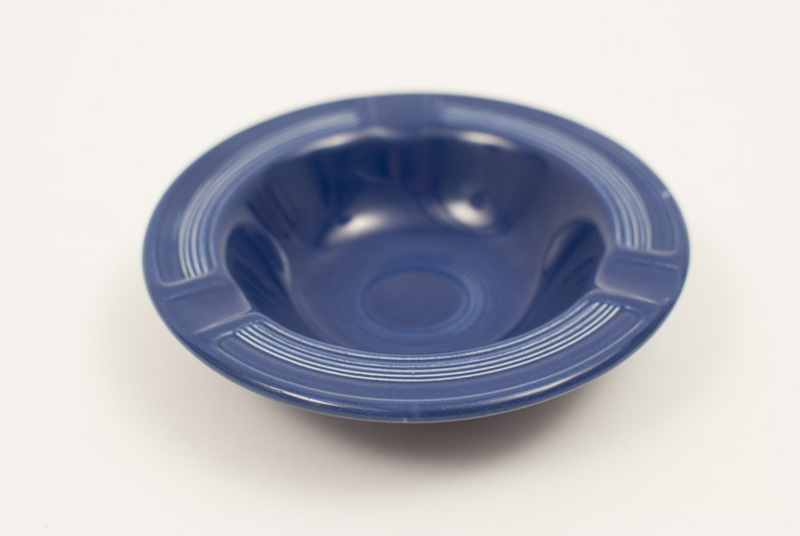 The bottoms of these early versions will be covered with bands of concentric rings that would have been etched in the clay by hand on a jiggering machine. 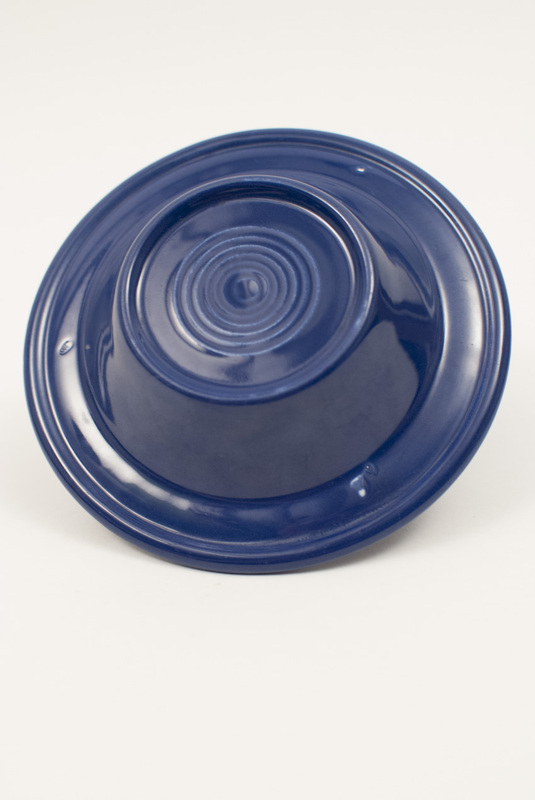 Later, when the glaze stamped marks were added the bottom rings had to be removed to allow room for the needed "Genuine Fiesta" mark. 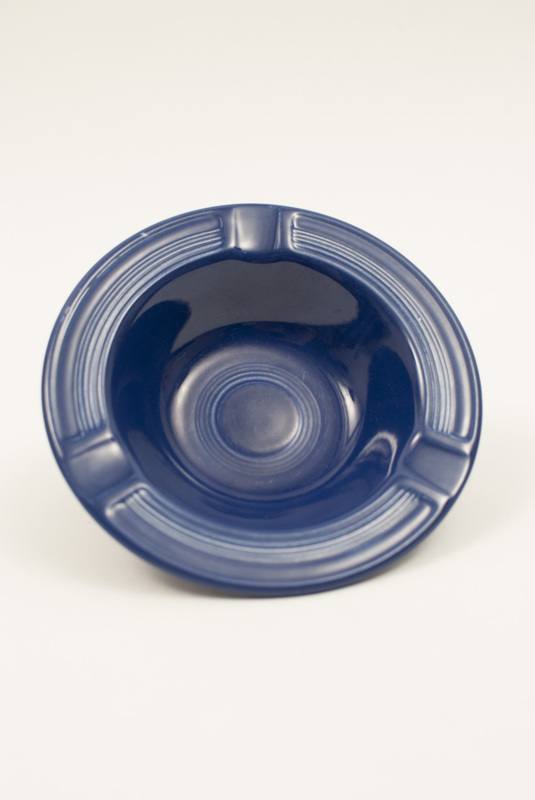 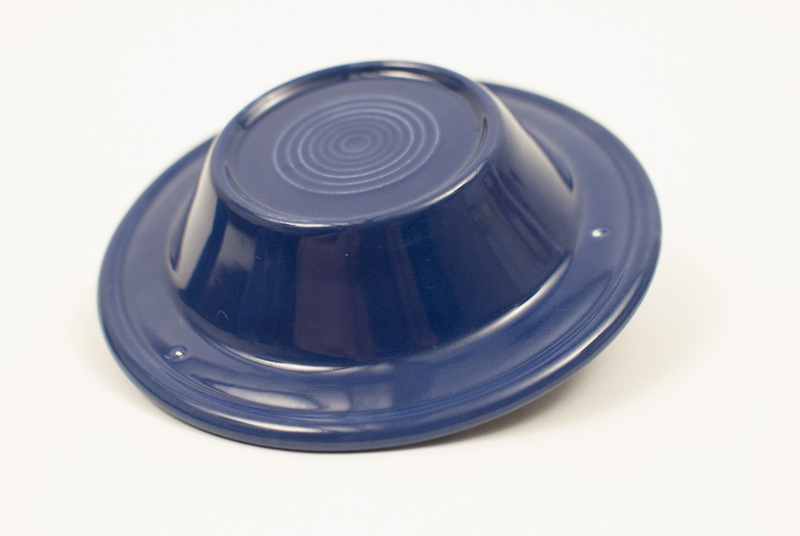 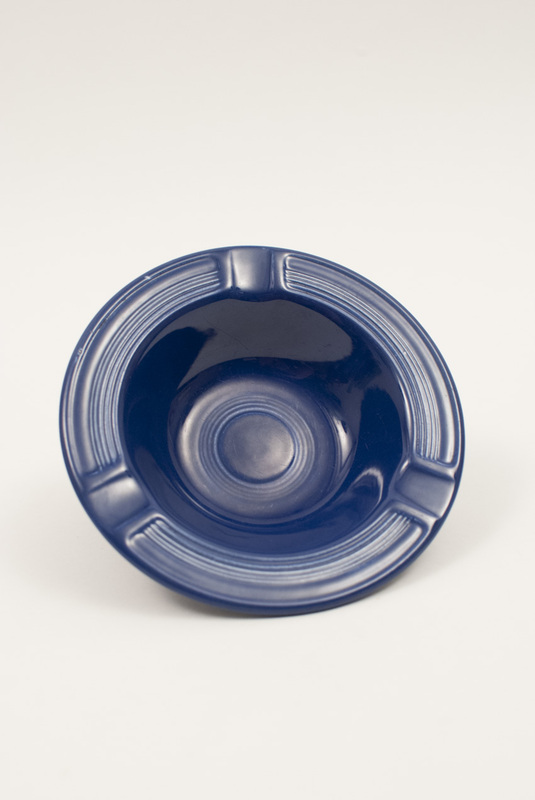 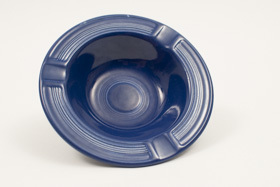 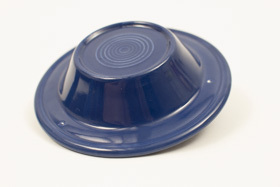 This example in original cobalt blue is in very good condition, with very light signs of use, no damage, not touchups or repairs, no chips and with the nice early, unique set of bottom rings found only on the early version of the vintage Fiesta ashtray. 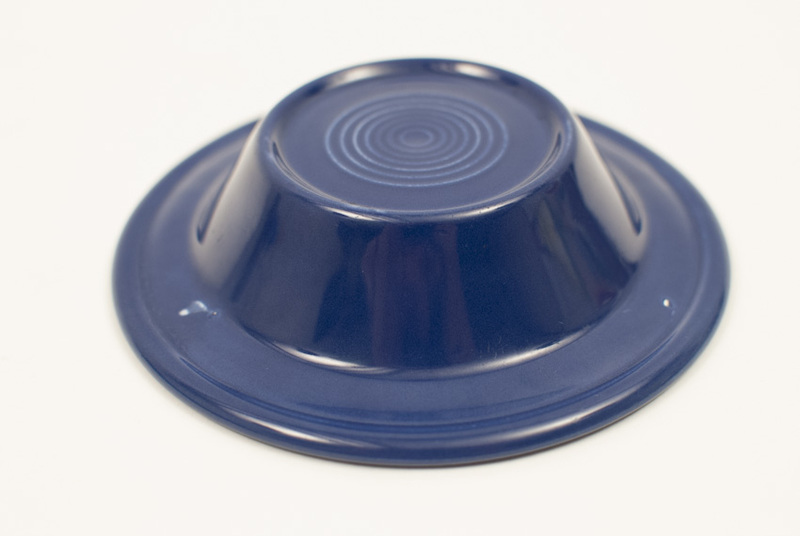 Advanced collectors will enjoy adding these more obscure variations to their collections.